Well, here’s a first. 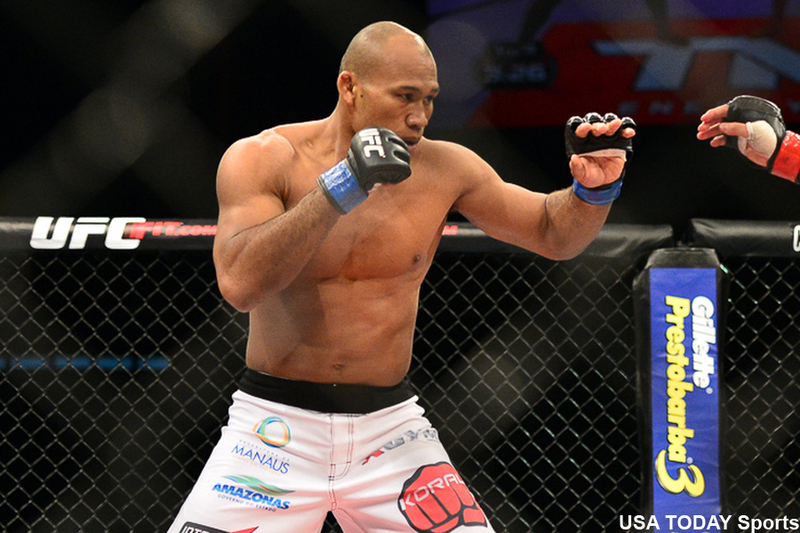 A case of pneumonia has forced Ronaldo “Jacare” Souza out of his UFC 184 shootout against Yoel Romero. UFC officials announced the 185-pound bout will be re-booked for a later event. Don’t fret, MMA fans. UFC 184 is still pretty stacked, including a pair of championship affairs. Bantamweight champ Ronda Rousey defends her throne against Cat Zingano in the co-main event, while middleweight title holder Chris Weidman battles Vitor Belfort in the featured attraction. The February 28 card goes down inside Staples Center in Los Angeles, California.